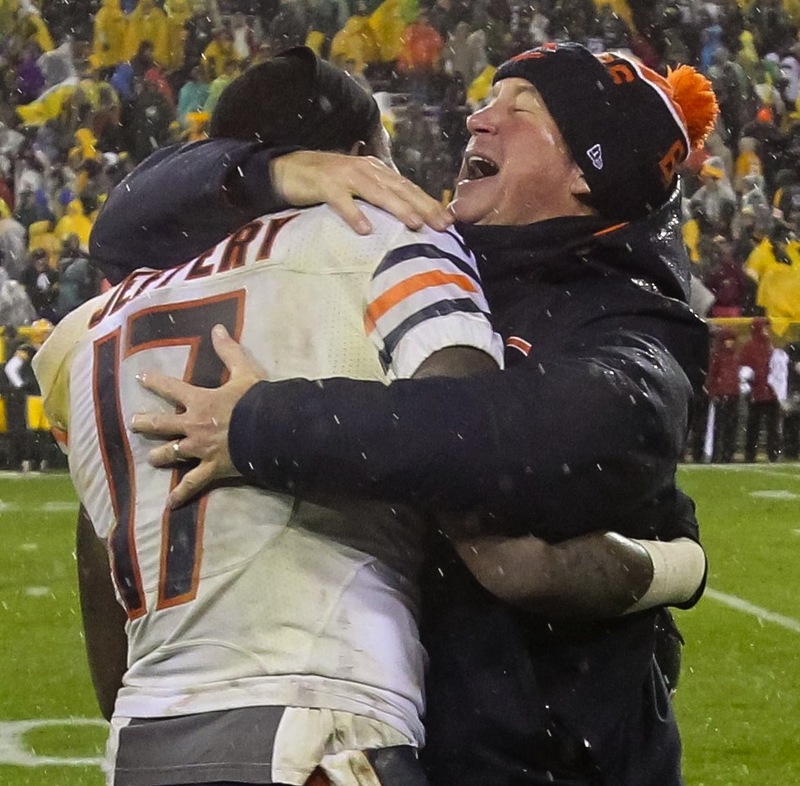 We entered this season believing in John Fox for one reason above all else: Thanksgiving 2015. He needs a repeat performance to restore the faith. As mediocre as the Packers have been this season, the Bears roster should not be able to compete in this game. They’ll likely be down their top four cornerbacks and three of their top four pass rushers. Oh, and Brian Hoyer is going to be the quarterback. The same argument was made about the Thanksgiving night game last year, but the Bears won because they played their butts off and John Fox was a large part of the reason why. Fox has never been and is never going to be a good in-game coach. His teams are never going to be known for their discipline and his philosophies will always be simple. But Fox has survived because his players fight for him and give him everything they have. Fox needs to show he can still get that out of them this week. I don’t know if winning the game is realistic. The Packers are ticked off and the “what’s wrong with Aaron Rodgers” questions are guaranteed to bring out his best. As important as wins and losses are, this Bears season should have never been defined that way. This season is about showing they’re headed in the right direction. Right now, the young talent GM Ryan Pace has acquired is obvious. We need to see if Fox can get the most out of them. Tomorrow night is when he needs to start proving it. This is why the Bears were able to sign Hoyer for pretty much nothing. Hoyer is better than he’s getting paid, I actually think he’s one of the best 32 quarterbacks in the league, but there aren’t 32 starting-caliber quarterbacks right now. He can move the ball down the field. But in order for the Bears — or any other team — to win with him, they need everybody else to be perfect. That didn’t happen on Sunday and Hoyer couldn’t make the plays they needed him to make. I charted Hoyer with 18 inaccurate passes. Four of the Bears second half drives ended with inaccurate passes, including their last drive — although Alshon Jeffery deserves blame for his impossibly sloppy route too. It wasn’t just the deep passes to Alshon that Hoyer missed. He missed a deep ball to Miller and another to Meredith. He’s never going to be able to throw it down the field accurately. It’s just not who he is and that’s why he hasn’t stuck with any of the teams he’s played for (but I bet Houston would trade Osweiler for him). Lost in all the talk about Hoyer is the fact that Dowell Loggains has made him look like a capable NFL quarterback. The Bears aren’t scoring touchdowns for a variety of reasons, from penalties to the limitations of their quarterback. But I don’t feel like their offensive coordinator is the problem, or even a large part of the problem. Hoyer has thrown for 300 yards in four straight games because Loggains is finding ways to get him open receivers to throw to. If Hoyer hits Jeffery wide open twice the last two games, the Bears have two more wins. I don’t think Loggains is Norv Turner or anything, but getting production out of Hoyer is impressive. The biggest difference between the Bears with Hoyer vs. the Bears with Cutler has been the play of the offensive line. Hoyer has had clean pockets to work from and Loggains’ play calls have given them open receivers. The offense should be judged by the points it puts up and the Bears aren’t scoring enough. I don’t know if Cutler alone could fix that, but I’d love to find out. • Part of the reason for Hoyer’s rough day: Pressure. The Bears allowed nine quarterback disruptions (hurries, hits and sacks), by far the most they’ve allowed in any of his starts. It was a particularly rough day for Charles Leno, who allowed four hurries and a sack. Cody Whitehair was responsible for 2.5 bad runs. • After breaking 10 tackles against Indianapolis, Jordan Howard only broke one against the Jags. I’m not quite sure why Ka’Deem Carey was playing over Howard in the second half — Carey also only broke one — but it was the worst game the rookie has had to date. • He didn’t get roasted deep, but Bryce Callahan gave up seven catches for 73 yards. Tracy Porter only gave up three catches, but one of them was a clumsy 51-yard game-winning touchdown. • This might have been the best game for the Bears pass-rush. I had them with nine disruptions, which is three fewer than they had last week, but they were going against a much better offensive line. Vic Fangio wasn’t afraid to bring pressure this week, something I’ve been asking for all season. It’s the question the entire state of Wisconsin is asking right now, but the answer isn’t easy. My first thought is that he isn’t all that different than he’s ever been, but his receivers aren’t what they once were. The Packers have Jordy Nelson back, but it isn’t the same Jordy Nelson who they had two years ago. He has lost a step and is much closer to what James Jones was for them last year. That’s fine, but it doesn’t scare defenses. They overpaid to keep Randall Cobb and high draft picks like Davante Adams and Ty Montgomery haven’t produced. It’s a far cry from when they had Nelson, Cobb, Jones, Jermichael Finley, Greg Jennings and Donald Driver. But that doesn’t tell the entire story because their receivers are still good and better than what most teams have. Their offensive line might be the best pass-blocking unit in the league and their running game is always productive. Their quarterback still has an easier life than almost every other quarterback in the league. Whether it’s because he doesn’t trust his receivers or doesn’t like his coach, Rodgers is no longer willing to play within Mike McCarthy’s system; a system that has proven to be successful with several different quarterbacks. He’s holding onto the ball, always looking to make a miraculous throw. Sometimes he does make those throws and Twitter blows up. Far more often, however, he’s throwing incomplete passes and their possessions are ending in punts. None of this should matter against the Bears. In addition to being ticked off, he’s going against a banged-up secondary. He still can — and will — roast a bad secondary. He’s going to look at Jacoby Glenn and smile every single play.